SharePoint is a popular component of Microsoft Office 365. SharePoint offers services like file hosting, collaboration facility, document management, and many more. SharePoint has earned popularity because it can be easily integrated with Outlook Web App, Office 365 Groups, and Yammer. However, SharePoint users sometimes face errors that badly hinder its functionality. Some of the common SharePoint errors are missing site template error, missing site definition error, correlation ID error, missing feature error, etc. For this post, “SharePoint missing site templates error” has been chosen for discussion. Readers will learn to fix missing site templates SharePoint 2013 upgrade Error. To begin with, we will know what is SharePoint site template. What is Site Template in SharePoint? By the word “template,” we understand a guide or mold based on which we create or execute something. Similarly, SharePoint site templates are some pre-built designs that can be used for some particular business requirements. Site template, Team Site template, Communities Site template, etc., are some default site templates available in SharePoint. Users can utilize these templates to create SharePoint sites of their own. These site templates also allow you to customize the sites according to your choice and demand. SharePoint users can also create custom site templates based on the sites they have created. As we all know, this error occurs when users try to upgrade SharePoint 2010 to SharePoint 2013. This is the main cause of this error. The first one is site template deletion. During the upgrade, the site template of SharePoint gets deleted. The error occurs as the template is missing due to deletion. The second reason is the language issue. Sometimes, certain templates are not available in the particular language in which the SharePoint 2013 site has been created. As we know the reasons now, have a look at its remedial methods. This error can be resolved manually or by using a third-party utility named SharePoint Migrator. 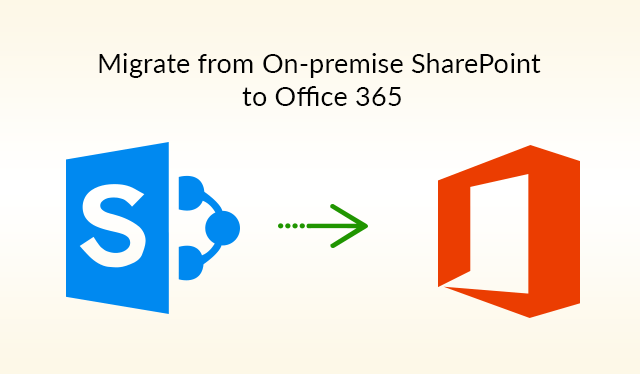 The tool is very efficient and lets you migrate On-Premise SharePoint to Office 365 or vice-versa. The pre-condition of this method is, both 14 and 15 versions of site definition have to be present in corresponding hives during an upgrade. First of all, go to the server of SharePoint 2013. After pasting is done, run the health check. You will find that the error is not appearing anymore. You can easily upgrade to SharePoint 2013 now. We have learned that the site definition is a compulsory requirement to perform this manual method. Without the presence of site definition, missing site templates SharePoint 2013 upgrade error cannot be fixed. In some cases, the site definitions also go missing. Then, users have to fix “site definition missing error” also. Users can try to delete the site if it is not necessary anymore. This can resolve missing site definition error. The post depicted the causes and remedies of missing site templates SharePoint 2013 upgrade “Error.” It has also shed light on missing site definitions error. Both the SharePoint errors occur during SharePoint upgrade. Users can try to implement these techniques to fix these errors. However, the manual methods are quite complex to execute. For this reason, experts recommend using this tool to export SharePoint data to another SharePoint without any error.